This new holiday house by Minneapolis-based Snow Kreilich Architects balances the quiet and the dramatic. Its stained-cedar skin takes its cue from the dense woods that surround it, ensuring a calm presence within the landscape, while its strong composition of two long, overlapping volumes stretches out dynamically to frame Lake Minnetonka. The retreat was designed for a family and is located 20 miles from their permanent home in Minneapolis, within an area peppered by large residences. The new design masterfully combines theatricality and privacy, with Snow Kreilich’s restrained approach lending elegance to the generous 8,667 sq ft space. Through the house’s main entrance, a custom-made black steel stair stretches up towards a skylight, making the space ’infinitely tall’, says practice founder Julie Snow. The house then extends within two legs: a low, dark cedar form that lies perpendicular to the lake, and a natural cedar one, hovering parallel to it. In the former sit the main living space and master suite. The latter contains the children’s wing, with rooms for two teenage girls. Moving through the house, views change from focused to wide and panoramic, inviting the visitor to discover both the interior space and the landscape outside. These carefully selected vistas frame the lake and trees and aim to tease the family out of the house and towards the external courtyard and surrounding nature. This sensitivity towards its setting is one of the project’s defining elements. The vertical cedar cladding directly references the woods, while its build helps ensure thermal efficiency. The wall construction exceeds energy code requirements by 30 per cent, while the saltwater pool is sustainably heated through geothermal strategies. 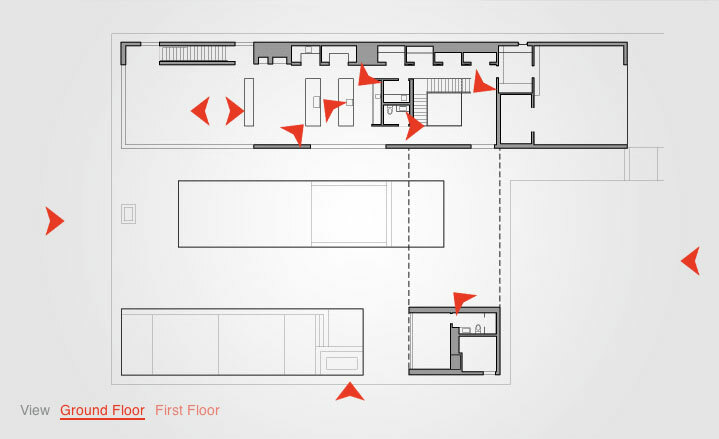 This design approach, rooted in context and deeply connected to the use of space in everyday life, is typical to the firm, led by Snow and Matt Kreilich, who both practice as well as teach. The architecture office has received much acclaim for its work, most recently with Snow winning the AIA Minnesota 2014 Gold Medal Award.